My nieces kept remind me of the end of the world which I think is preposterous. I am a optimistic person, and I don't believe that the world will not end this year. It will end eventually but definitely not now. I have never made any monthly favorite ever! So I decided that I am going to wrap it up for my 2011 favorites! Yay!! Lets begin! I started using this amazing foundation early this year. And I AM LOVING IT! I highly recommend this to anyone. Though I should warn you to use the right application method while using this foundation or you will look like the Cullens!! (No offence Twilight fans!!) This foundation contain a LOT of fine shimmery dust. Therefore, if you use sponge or regular foundation brush, you will definitely get the Cullen effect. I always use my MAC 187 dual fiber brush and I stipple this foundation onto my face. It gives the airbrushed look and gives full coverage without using too much product. It also lessen the shimmery look. 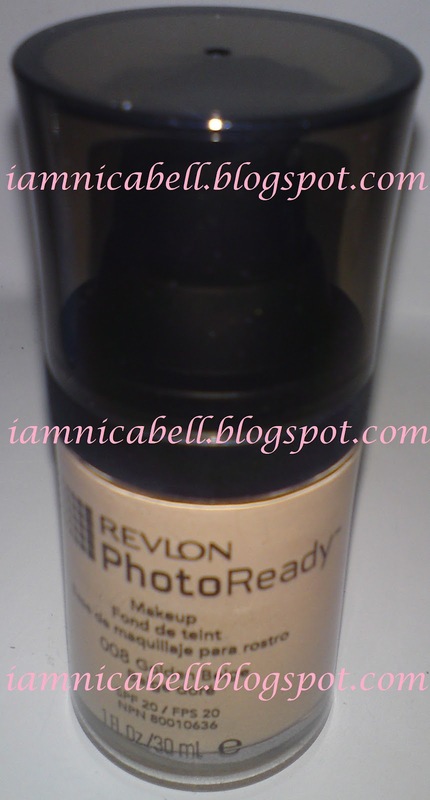 What I like so much about this foundation is that it is affordable and it gives a good coverage and weightless. I don't feel like I am using any foundation on my skin with it. My face would not looked ghastly white while taking pictures with flash. I definitely gives thumbs up for this product. The black bristles are natural hair while the white ones are synthetic. Thus, given the name Duo Fibre brush. I was told that this brush can be used as foundation brush, blush brush or powder brush. But I prefer to use it as my foundation brush. I stipple my foundation on my face to get that airbrush look. Stipple/ stippling motion is meaning where you kind of tap your brush on the foundation and then tap lightly onto the surface of your face. Gradually cover the entire face with foundation with stippling motion not only gives the airbrush look, it also helps to give a flawless face. My boyfie was kind of mad when I bought this skunk brush because it cost me around RM180++ here. He only approved me to buy this when he saw how good this brush do to me. If you have acne on your face, this brush will certainly help a lot! I have made a review on this product here. And it is definitely my fav! I haven't try other brand yet because I am quite satisfied the result I got from this one. Even the waterproof Maybelline NY gel eyeliner washed off with this. I have used moisturizing lotion/cream from The Body Shop, NIVEA, Vaseline, etc. Nothing can beat this. Boyfie introduced me to this and I am loving it!!! The texture is more like lotion than cream. It doesn't feel oily or sticky after application. It does cost a little bit more than NIVEA and Vaseline and doesn't smell as good as TBS. This stuff is certainly addictive. Not many would know this but it certainly help me a lot with my acne problem. 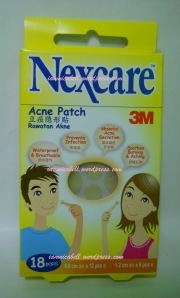 Pustules and cystic acne will certainly be cured away with them as the patches absorb the puss from the acne. It also helps to prevent bacterial infection after squeezing acne. Put on top of the acne and wait till it turn white. The white you see is the puss that absorbed by it. Make sure to wash your face before use and put it on before applying any of your beauty regime. Not recommended when using make up.